Credit card debt can be a huge problem to deal with. These cards have high-interest rates, and they are always teasing our desires and dreams. It’s definitely not easy to pay for something you bought in the past, but that’s exactly what debt is. The money you borrow today will have to be paid back tomorrow, and that too in interest! It is important to understand credit card debt and the options surrounding credit card debt management. Be wise in using credit cards – this is the first step to success! You can begin by using credit cards responsibly. Credit cards are usually meant to help you in your times of need and emergency. It is not something to play with and use for nearly every purchase you make. Rather, you should shift to liquid cash, and use debit cards in cases of safe and secure transactions. In these modern times, it’s not easy to discard your credit cards, as they are the most convenient way to initiate transactions. Still, it’s better to take the pain now by purchasing only what you can afford, rather than bearing the difficulty of paying debts later. Don’t forget to talk to your creditors – When you consider professional debt relief option, the agency will contact your creditors to bring down the interest rates. However, you can also do this act of negotiation yourself. All you have to do is ask your creditors to lower the rates, and in return, you will maintain your payments without any default. Most of the times the creditors agree to do so, because at the end of the day they want their base amount back – whatever extra they get is their profit. Still, you can take help of an attorney if you find the negotiations are getting out of hand. Plan a budget that suits you best – A good debt management plan is incomplete without a healthy and workable budget. For managing credit card debts, always go for backward budgeting. In this unique style of budgeting, you will be keeping aside a fixed amount each month from your paycheck that will be used for making credit card payments. After you subtract this amount from your paycheck, you will be left with a lump sum amount. This you can use for your discretionary expenses and day to day obligations. Credit card debt can also be paid off using balance transfer – Here you take out a single credit card that has a good credit limit that can cover all your existing credit card balances. You pay off your credit card debts with the help of this single card. This simplifies the debt pay-down process with leaving you with only one interest rate to worry about and one card to pay off. Make sure you always look for the 0% APR introductory period on your new card, for that will minimize your interest payments to a great extent – but pay attention to any fees associated with the transfer, the period of the introductory rate, and the interest when the introductory rate has ended. 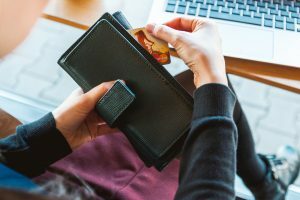 What is a debt management plan and how helpful will it be for credit card debt? In simple terms, a debt management company can help you understand your debt scenario, and assists you to pay your debts in a systematic way. You can do debt management yourself. At least with credit cards, it’s definitely not difficult. A proper budget plan will prove to be very important. If you can’t follow a budget and ration your expenses, you will never clear your debts! However, a professional debt relief option can provide you with a budget plan, and other convenient management strategies. Arrange your debts – With professional debt management, you will have to make only one payment that will be distributed to all of your creditors. Lower the interest rate on your credit card balances – Once you enroll in debt management, they will negotiate with the creditors to see if the interest rates on your credit cards can be lowered. Most of the times, it’s a success, and there’s a good chance that the interest rates can be cut down significantly. Give you a budget plan that will include instructions – When you have a debt management plan, you will have to follow a budget which will help you to stay on track financially. Your job is not only to pay off existing debts but also taking care that you don’t incur further debt. In a debt management plan, there will be many instructions and guidelines for staying away from debt. One such example could be postponing the use of credit cards at least until you clear all of your outstanding credit card balances. The choice is up to you. You can try debt management yourself, or pay for the help of a professional debt relief method. Getting out of debt is possible but you do have to take actions in order to get out of the mess of credit card debt; otherwise, your financial health will suffer badly. Remember, your aim is to be debt free, and not incur more debts in future. What strategies have you used to get out of credit card debt?